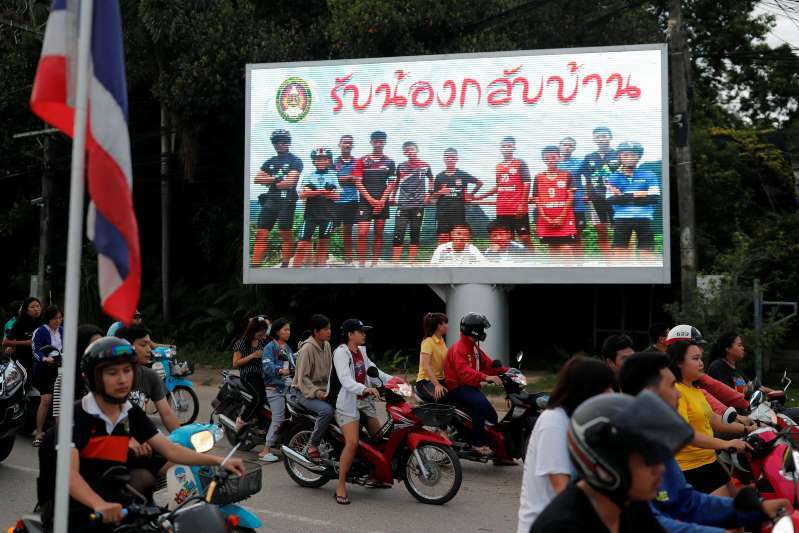 A billboard reading “Welcome home, boys” in Chiang Rai Province on Monday. Adul Sam-on, 14, has never been a stranger to peril. [post_ads]But his greatest escape came on Tuesday, when he and 11 other members of a youth soccer team, along with their coach, were all finally freed from the Tham Luang Cave in northern Thailand, after an ordeal stretching more than two weeks. Mae Sai, where the Wild Boars play soccer, seems an unlikely place for a resurgence in Thai pride. Located not far from where Thailand, Myanmar and Laos meet in the Golden Triangle, Mae Sai is home to a population that has at times been skeptical of the Thai state and its institutions. At least 440,000 stateless people live in Thailand, many of whom are victims of Myanmar’s long years of ethnic strife, according to the United Nations refugee agency. Human rights groups say the true number could be as high as 3 million — in a nation of nearly 70 million — even though the Thai government has refused to ratify the United Nations convention guaranteeing rights for refugees.